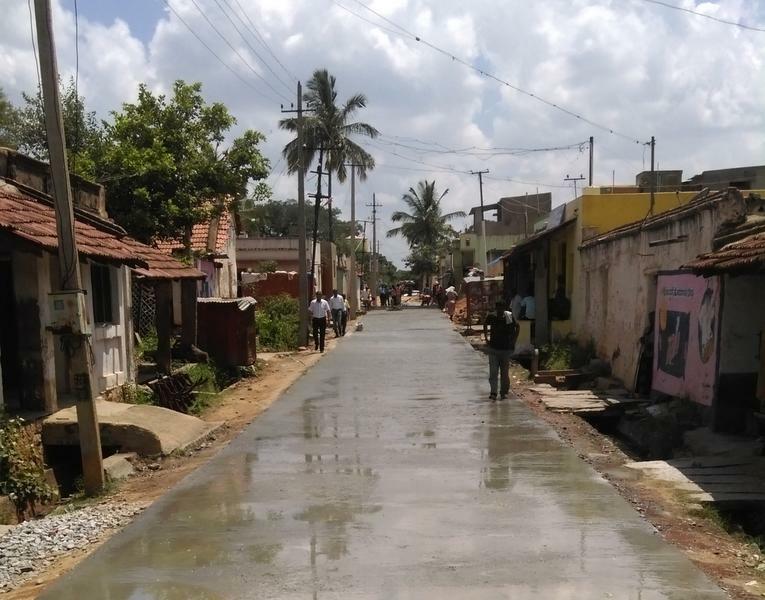 In the town of Thondebavi, outside Bangalore in southwestern India, Dr. Nemkumar Banthia’s project came to life, connecting the small town to the rest of the country with a road design that resists heavy rains, intense heat and poor drainage. These roads, according to Banthia — an engineering professor at UBC— are built with “ultra-high strength concrete reinforced with hydrophilic polyolefin fibres (also called HY5 fibres) with advanced nano-coatings. This concrete formulation is more resistant to cracking and more able to heal itself of cracks.” This project is significant in that its materials “reduce the required cement component by 60 per cent, replacing it with locally sourced fly ash, a by-product of the thermal power plants. The cement industry currently contributes around five to seven per cent of global emissions,” said Banthia in a press release. In an interview with The Ubyssey, Banthia said the inspiration and goal of the project was two-fold. He said it is always a dream to get materials to repair themselves. His second major reason to develop this project in India was to help people. Previously, the town was completely un-walkable and inaccessible via car or foot during monsoon season, making it incredibly difficult for locals to get their produce out to market. This road has become the gateway to the livelihoods of many of the locals. But according to Banthia, the innovation comes second when it comes to helping people in these types of situations. “They just [wanted] a road,” he said. “There may be a million innovations in that road, but that’s not of value to them. They don’t know that this road is thinner, cheaper, it’s not polluting the environment and it’s going to last them three times longer than any other road does. But they don’t care. They are happy with just having a road. The man then shared his extremely personal story, filled with gratitude with Banthia, as he was finally able to visit his family and friends. “He was so much happier,” said Banthia. This September was the one year anniversary of the 650 metre-long road in Thondebavi and after surviving all seasons, has now been deemed a success, and according to Banthia, is expected to last for another 15 years. He also believes his innovation will allow Canadians to acquire a large chunk of the pavement market in India, along with projects at home such as Edmonton, Alberta. It’s the year 2016 and while cars may not drive themselves yet, roads can now heal themselves thanks to the innovation of a UBC engineering professor.